How can I reclaim VAT on expenses before registration? You can generally reclaim VAT on goods/materials you bought up to 4 years before you registered for VAT, as long as you still had them in stock at the date of VAT registration. You can also reclaim the VAT on services (such as telephone bills and accountancy fees) up to 6 months prior to VAT registration. How do you process the reclaim in Pandle? 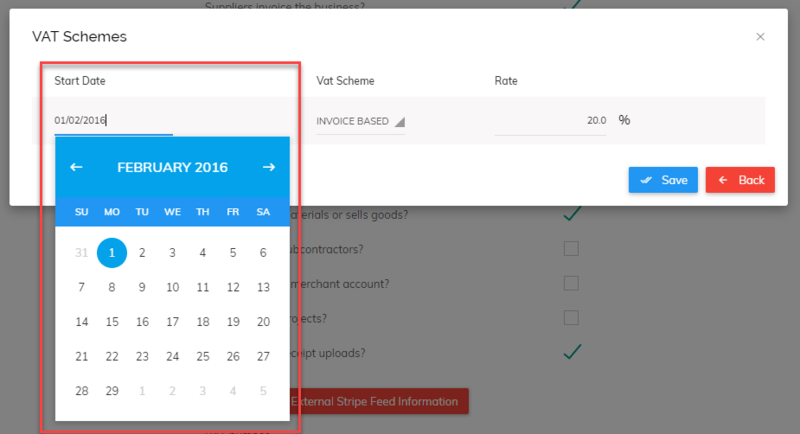 If the scheme is invoice-based, then editing the start date is sufficient. However, if you are on the cash accounting scheme or the Flat Rate VAT Scheme then please add a new invoice-based scheme from the date you want to reclaim transactions from, up until the start date. In the above example, we have used the date range for the period up to the registration date and have selected the category for the transactions we want to change. We can now select the transactions we want to edit. Click 'Edit Checked' and simply change the tax code from 'NV' to 'ST'. This will update all selected transactions to save you going through them one by one. When the first VAT return is run, all purchases/expenses with a ST code will now be included.